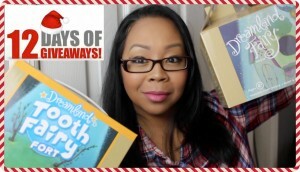 Rules and details to enter on Rafflecopter below or click here. 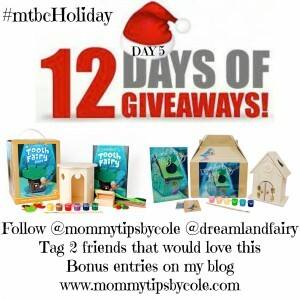 8 Responses to "DREAMLAND FAIRY & TOOTH FAIRY FORT | 12 DAYS OF GIVEAWAYS: Day 5 | #mtbcHoliday"
We love arts and crafts projects so this would be perfect! My daughters love to paint and live fairies!! These would be the perfect gifts!!! Thank you for this awesome giveaway. My girls would love this!